April is the perfect time for celebrating nature and the beauty of our planet. Also, it is the perfect time to remind our students of our responsibilities to keep our planet healthy. My family and I live on a small farm, and a big part of farm life is striving to be good stewards of our land. We personally strive to take care of the earth, conserve, and simply do our part in preserving our beautiful world. One of my personal pet peeves is for people to throw trash out of car windows. In our area, this is a big problem, and I'm always saddened to find that so many students find this act normal and ok. Because of this, I always try to find the time whether it is in April, or even at the beginning of the year, to encourage students to make changes in their habits to keep our planet healthy and beautiful. 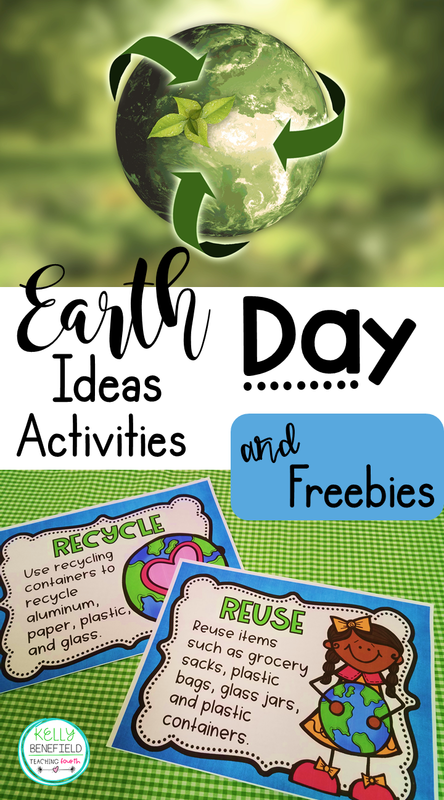 Here are some ideas that are not only great for April and Earth Day, but they are also perfect for anytime of the year when you are studying ecology, protecting the environment, or reduce, reuse and recycle. ✔️Ask permission from your administration for your class to participate in acts of environmental kindness around your school campus. Take 15 or 20 minutes to do one or more of the following activities. Pick up trash around your school. Water a flower garden at your school. Plant flowers around your campus. Set up a recycle bin. ✔️Encourage students to promote environmental kindness. Discuss simple changes that students can make to help our earth. Plant trees, plants, and flowers with your family. Place a trash bag in your family vehicle and encourage everyone to use it instead of throwing trash out of the windows. ✔️To encourage students to make changes to help the environment, download this freebie from my store. Students can document their environmental acts of kindness for one week and write a poem to celebrate Earth Day. 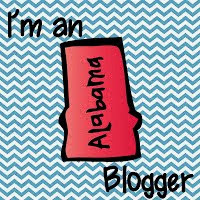 Also included are brag tags for Earth Day. Use these brag tags for students who document their environmental acts of kindness or simply give each student a brag tag as a reminder to take care of our earth. ✔️Each year our fourth grade attends a Water Festival sponsored by our local water boards. It is a fun day filled with experiments and activities centered around learning about the water cycle and our environment. At the Water Festival, the highlight of the day is always the magic of Steve Trash. His show is funny, amazing, as well as educational. He combines magic with a lesson on reducing, reusing, and recycling in such an entertaining way that he is always the topic of conversations on the bus ride back to school. Another great thing about Steve Trash is that he offers free videos on his website that are perfect to show around Earth Day. His free videos include "Renewable-Nonrenewable", "The Water Cycle", "Reduce, Reuse, Recycle", and "Pollution." Check them out HERE. Your students will love them! 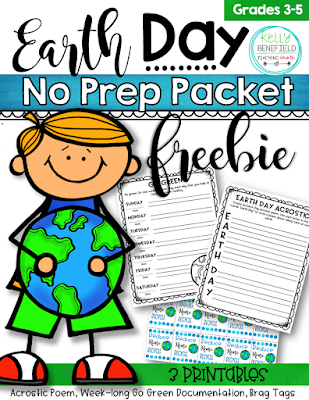 ✔️For even more great activities in honor of Earth Day, try out my fun Earth Day Packet. This packet includes Earth Day themed print and go language arts activities as well as activities centered around Earth Day. 15 fun and easy printables that can be used in your reading, language, as well as science classes are included. 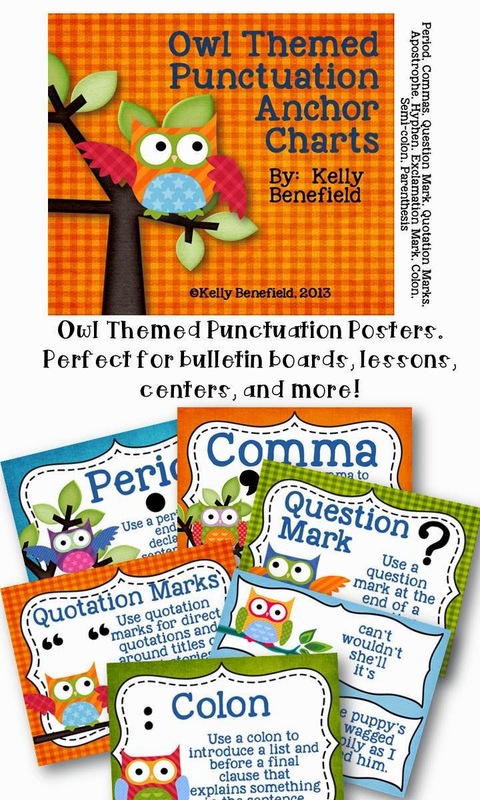 Activities that center around adjectives, grammar, synonyms and antonyms, creating an environmental bumper sticker, and more are included. 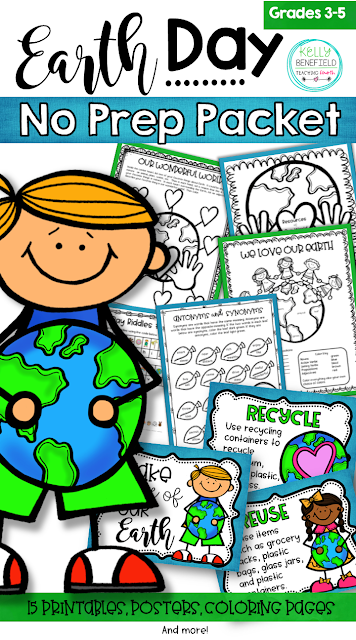 Colorful reduce/reuse/recycle posters can be used for bulletin board or wall displays, and coloring sheets/booklet are all included for your students. This easy to use packet is just what you need this spring.